On Saturday I stayed at Brandon’s parents’ place in Germantown. I left on Sunday at 10:05 and was parked before 10:30. 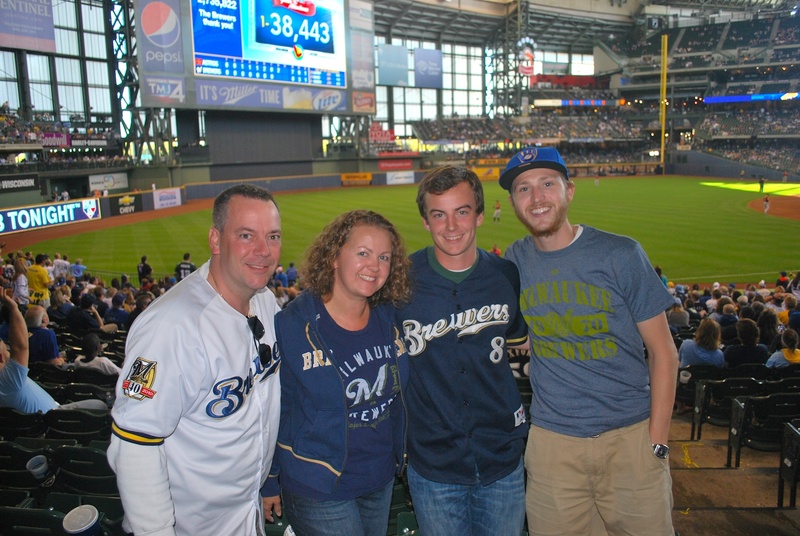 Brandon had jumped on the free tickets that Ryan Braun and John Axford bought, and he had an extra. 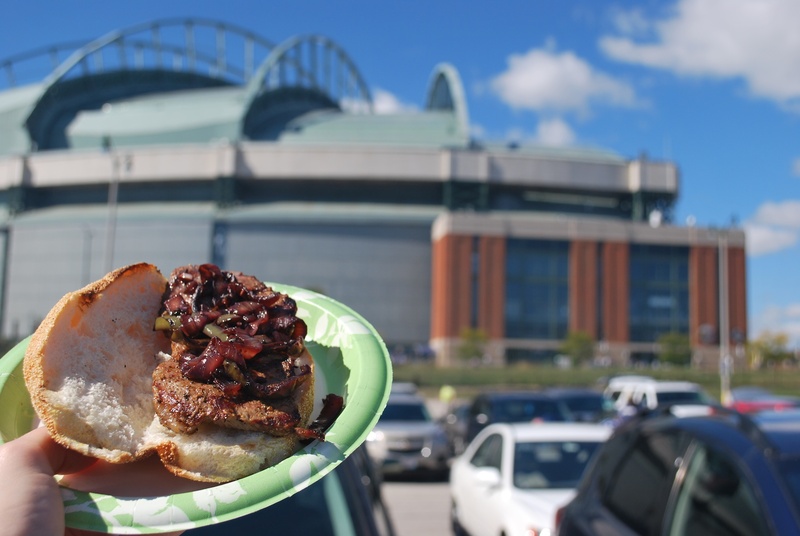 I wasn’t able to find someone on twitter to sit with me on Sunday so I decided to try and sell both of mine outside of Miller Park. It took me about 30 minutes but I was able to find a couple who paid $60 for my two tickets. It’s $20 less than face value, but seeing that I was hoping to get a $40 donation for one of the seats it actually worked out better. I walked around for 45 minutes and told people about Be The Match and my journey thus far. I met up with Brandon and his parents (Gary and Ginny) in the Miller 2 parking lot. I had a few beers and a delicious steak sandwich with some onions and peppers. 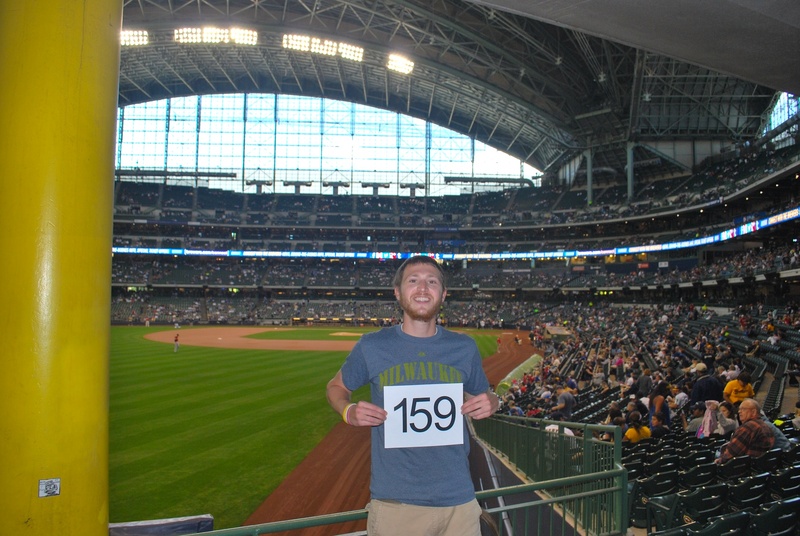 Brandon and I went inside at 12:45 to get game photo number 159 in section 131. Our seats were in section 128 so it was rather convenient. The only inconvenience was that we were on the left side of the aisle. 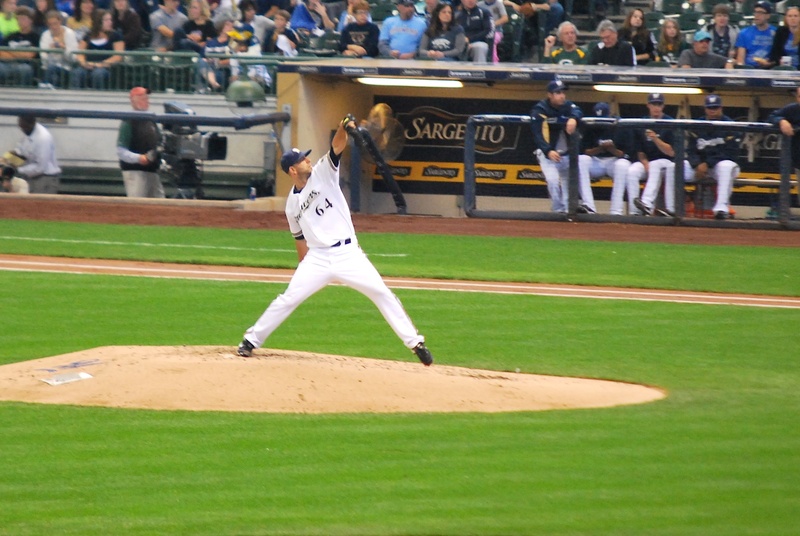 Fiers delivered the first pitch of the ballgame (a strike) to Tyler Greene. If the guys head in the picture above is any indication: the game for me consisted of a lot of bobbing and weaving to try and see every pitch. 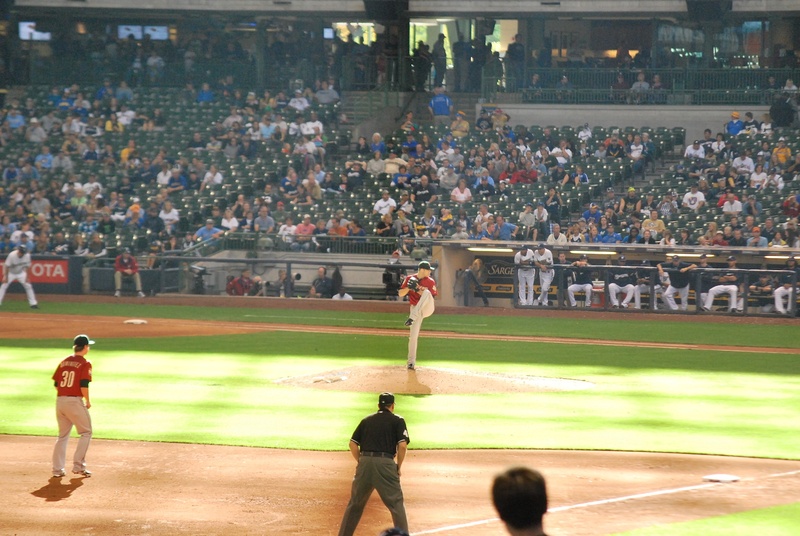 I think if I had just sat there and not moved I likely would’ve missed 20-25 pitches. In the bottom of the third I was looking at my phone and there was also a group of people coming down the aisle. I missed the first pitch of Segura’s at bat, and then while trying to record what pitch I missed I also missed the second pitch of the at bat (Doh!). I think it may have been the first set of consecutive pitches that I’ve missed (while not doing an interview). 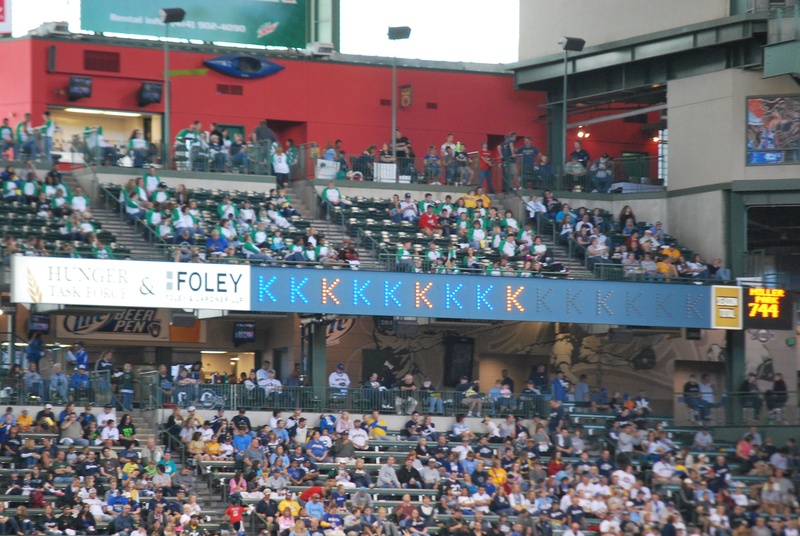 The Brewers pitching staff needed 51 strikeouts entering Friday’s game to break the MLB record (held by the 2004 Cubs). They struck out 11 on Friday and Fiers was doing his part on Saturday. The only problem was that he was also giving up solo home runs, four of them to be exact. 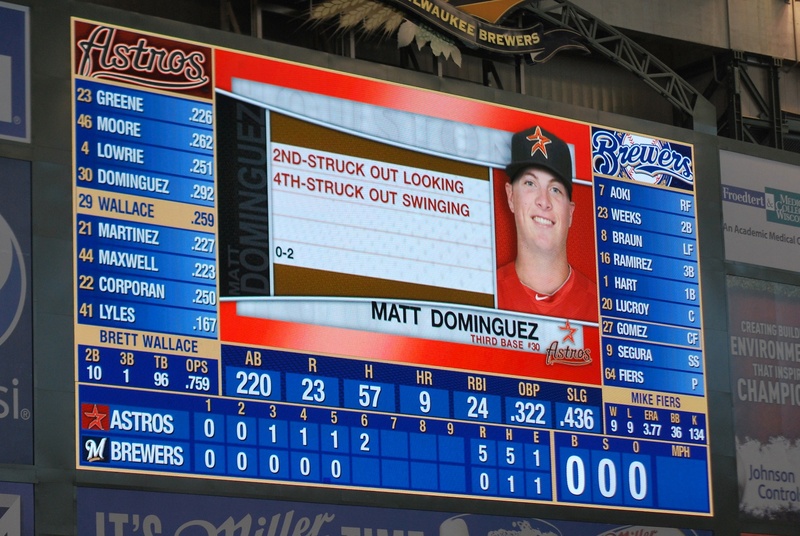 The first run he allowed was an RBI double but the remaining four runs he surrendered were all via the long ball. One of them was to the pitcher, and it wasn’t a cheapie. In the 8th inning I had a fan two rows due north take a picture of us. Left to right is Gary, Ginny, Brandon and myself. I’m very grateful for Brandon and his parents allowing me to crash for a night to save me some travel time, and for letting me join them at the game. Thanks guys! The Astros added two runs in the 8th and starter Jordan Lyles came out for the 9th inning to try and get the complete game shutout. He got the job done and only needed 103 pitches to shutout the Crew. The Astros won 8 (EIGHT!!!) games against the Brewers this season. They have only won 45 other games so far. 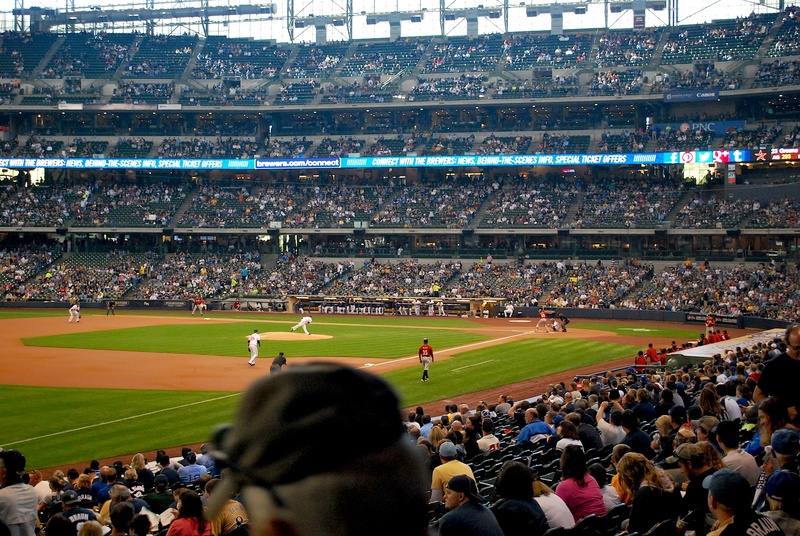 Only 10.7% of their games were against the Brewers and yet 15.1% of their victories came vs. the Crew. A better (worse) way of looking at it is that against everyone else their winning percentage is .317, vs. the Brewers: .471. Ugh. Brandon is attending UW-Madison and my old place on West Washington and his current place on Mifflin basically share a backyard. Small world. He had come home for the weekend so in exchange for letting me stay at his parents’ place I took him back to Madison. I got to Victoria’s and my place on the west side of Madison in time to see the 4th quarter of the Packer game which helped cheer me up a bit.